Hello, January. I've been expecting you. I'm currently in the middle of several projects - a proposal for a new children's series (writing good proposals takes a long time - I'll blog about it soon as it's vital to get your proposal right), the first book in that new series, a book about whales and dolphins (non fiction), writing the text for my book festival brochure (Mountains to Sea dlr Book Festival in March), and researching a new novel for adults. I find starting projects the easy part, it's hitting the half way mark that I find most difficult. So here are some words for those of you who are mid way through a project and need some motivation. All writers find writing a book tough going. I often hit a difficult patch roughly half way through a book, knowing that I still have a lot of work ahead of me. It’s perfectly normal to feel a bit overwhelmed at any stage of the writing process. You are writing a book after all. And if you are a huge reader like me, you have a responsibility to both yourself and the future reader to produce something worthwhile, something special, something original. Woody Allan once said that ‘90% of success is just showing up’. And for writers, showing up at the page day after day, week after week is vital. For some, the effort proves too much, and the book never gets finished. Remember if you sit at your desk for 15 or 20 years every day it changes you. It just does. It may not improve your temper but it fixes something else. It makes you more free. She is quite right, it does change you. It does make you more free. Every time you’ve finished writing, jot down how many words you’ve managed and how you feel your work is progressing. If you respond well to deadlines, keep deadlines. For example: Monday – write 500 words, Tuesday – finish Chapter Two. If you’ve stuck to your deadlines reward yourself with some television or a bar of chocolate. Many libraries host regular events for writers. Check your local library for details. I love hearing other writers read their work or talk about their work, and I always learn something valuable or that makes me think. It’s a real treat to be around fellow book lovers too. One of the best books about being a writer and living a writer’s life I’ve ever found. Succinct, direct and truthful, a book I come back to over and over again if I’m in need of a little writerly pick me up. 4/ Pencil in some internet free days. I check my social media accounts on Mondays, Wednesdays and Fridays. I spend one hour on each of these days writing blogs/content for posts, reading and commenting on other people's posts and replying to my messages. That's three hours a week. I check in after working hours too, but I don't waste my writing time online. Perhaps you could set yourself some internet 'rules' too. 1/ Ask for advice and/or encouragement from a respected friend or work colleague; someone who loves reading and who will give you an honest but kind opinion. Explain that you need honest feedback, but ask them to be kind. If you don’t know anyone suitable, see number 3. Many libraries host regular writers’ groups. These are not for everyone, but many writers swear by them. Many published writers are in writing groups, others have writing friends who they talk to about their work and any problems they are having. I have several writer friends and they are a Godsend. Writing can be a lonely old business, and having someone to talk to who understands is very important. Seek out fellow writers on the internet or in person. Inkwell are based in Ireland, Cornerstones in the UK and both are excellent, well respected professionally run organisations. Even if you don’t feel like writing try to do something writing related: research, editing, making notes. Sometimes you may be simply too mentally tired or out of sorts to write, never force yourself, take a break and come back to it the following day instead. Try to approach the page with optimism and enthusiasm, not dread! Sometimes you will have to talk yourself into a positive frame of mind, but you’re a writer – you are smart, creative and powerful. If you can create a whole world on paper, you can certainly cajole yourself into a bit of writing. Never use ‘I’m too busy’ as an excuse. Your house will probably be less tidy and sometimes the dishes will sit in the sink for the evening, but these are the sacrifices a writer has to make! Once you’ve set your writing time aside try to sit down at your desk regularly so your story will stay fresh in your mind. If you can’t write every day, think about your characters and your plot when you can. Agatha Christie once said she did her best plotting while washing the dishes. Try to write at a desk or table in a well lit and if possible quiet area. Buy yourself nice notebooks and coloured pens – these small things make writing more of a pleasure. If possible get your hands on a computer. Typing directly onto a computer takes a while to get used to but it makes writing and most especially editing so much less painful – plus you have spell check! The old expression ‘how long is a piece of string’ springs to mind. Each writer is different. Popular fiction writers are often contracted to write a book a year. If you can manage to write 2,000 words a week for example, it will take you just under a year to write a whole book. Try to find a writing pace that suits you and your lifestyle. The honest fact? I can’t motivate you to write. No-one can do that but yourself. If you want to write badly enough, you will find the time and the energy. 1/ Get into the habit of writing. This doesn’t mean you have to knock out a thousand words of a novel a day; it can be emails, letters to friends, or a description of your cat. Writing is a craft and the best way to learn it is to practise. 2/ Get yourself a proper writing space. Some people can write a book on the kitchen table amongst the dinner dishes but most of us can’t. It really helps if you have a special place for writing and when you arrive at it, your brain clicks into writing mode. 3/ Don’t wait for genius to strike. It probably won’t, and you’ll achieve tonnes more if you spent your time practising your writing, developing interesting characters, and thinking hard about what you’d really like to say. Most successful writers aren’t published because brilliant ideas visit them on a daily basis, but because they work very hard and stay motivated. 4/ Read, read, read. We can all learn from other authors’ work – how they construct a plot, how characters are effectively drawn; how they manage to make a scene in a supermarket the most memorable you’ve read all year. Don’t be afraid that you’re going to copy their style; you won’t. But you might find that that you learn lots of new techniques that will lift your own writing up a level. See the writing.ie article I contributed to here. Who represents Eoin Colfer? Who helped Derek Landy climb to the top? Who represents Cathy Cassidy? A few years ago I wrote a blog about the best children’s agents – my most popular blog ever. So here is a brand new, updated version. I’d like to pay tribute to Philip Ardagh who posted a question on Facebook recently – ‘Who is your agent and would you recommend them?’ Lots of writers responded (myself included) and it was useful for this blog. Thank you to Philip and all the writers who answered his question. I’ve had the good luck to work with one of the best agents in the business, the wonderful Philippa Milnes Smith from LAW (details below). Good luck in finding someone as clever, kind and supportive as Philippa. Penguin Ireland have just appointed highly experienced writer and teacher, Claire Hennessy as their Children's and YA Editor - Claire will read unsolicited manuscripts and will accept them by email. Submission guidelines here. But most UK publishers do not accept unsolicited manuscripts so you will need to submit your work through an agent. What does an agent do exactly? 1/ An agent can advise you on your manuscript and on how to make it more attractive to a publisher. Some of them will act as unofficial editors to their clients or at the very least can suggest changes or improvements. They are also excellent at coming up with zippy titles as I’ve discovered. 2/ An agent can find the right editor or publisher for your work – like a book matchmaker. And they can sell your UK, US, digital and foreign rights. They can also look after any film or television rights. 3/ Agents deal with the difficult and technical area of contracts. This is particularly important at the moment as digital rights can be tricky. 4/ Financial back up - they can chase up your royalties and talk to your publishers about outstanding monies owed to you. These days having potential isn’t enough, your manuscript must be as perfect as you can make it before it goes anywhere near a publisher. A good agent can play a vital role in this process. Remember to check each agent’s website for submission guidelines before you send anything out. Or ring the agency for details – I know it’s daunting but they are always happy to advise you on how (or if) to submit. Be warned – you may get the agent herself/himself on the phone. Be prepared. Eoin Colfer is represented by Sophie Hicks. Sophie is a very experienced agent and her writers rate her highly. She has just set up her own agency and is currently taking submissions (2014). Irish Writer, Elizabeth Rose Murray recommends her agent, Sallyanne Sweeney of Mulcahy Associates (London). She says she’s ‘supportive, thorough, creative, knowledgeable & really champions her authors. And she really loves children's/YA literature too - always a bonus!’ She’s also from Dublin originally. Cathy Cassidy is represented by Darley Anderson. I'm writing a new series for readers of age 9+ at the moment. 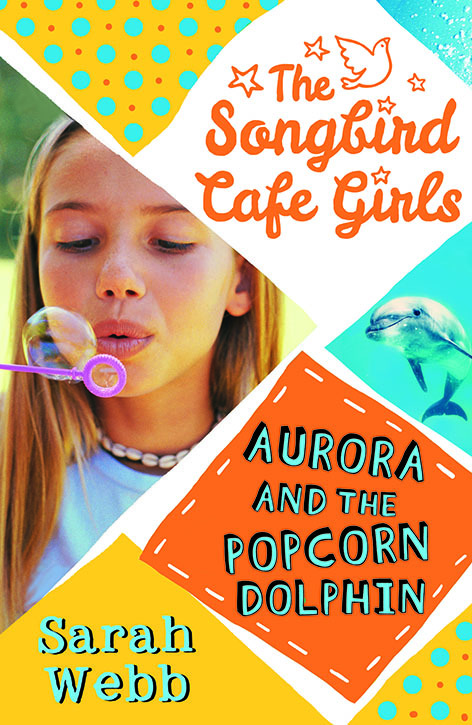 It's about a group of girls - Mollie, Sunny, Min, Rory and Alanna - who live on a small island off the coast of West Cork. I came up with a title for the series - The Wishing Girls. 'Too young' my publishers said. 'Sounds like a Rainbow Fairy book'. So I had to start again. I asked some bookseller + writer friends and they liked both Butterfly Island and Songbird Café. Apart from the boy, who liked Firefly Bay. But they thought Songbird Café was the most original so that's the one I went for in the end. Which suits the book perfectly as the island is full of songbirds. It took eighteen months to come up with a series title and the process got me thinking about other writers and how they picked titles. I asked them about their title process for this blog. As I got so many responses, I will use some of their wonderful words of wisdom in my next blog also. For me, choosing titles is like pulling teeth. It’s the last thing I do, and I have to be honest, I’m not entirely happy with all of my choices. My editor often helps, and has come up with some great ideas. Occasionally, a title chooses itself, like Bonjour, Alice and Alice in the Middle. My most recent book is Eva and the Hidden Diary. At first it was to be called ‘Eva and the Secret Diary’, but I changed it at the last minute, due to great advice from a writer friend, who suggested that it was wasteful to use two precious words like ‘diary’ and ‘secret’ in the same book. (That would have been me - Sarah). The Sleeping Baobab Tree ended up as this because much of the story revolved round a wondrous ancient baobab that at some stage in its history fell on its side but carried on growing. In local folklore it is known as 'ngombe ilede' (the sleeping cow - as this is what it resembles ) and this was the book's first title, but over time it became The Sleeping Baobab Tree. I am very happy with it. I love titles and I love the process of arriving at one but think that even though it can be discussed ad infinitum with agent, editor, friends and family at the end of it all it has to be yours. My next book is called 'Fintan's Fifteen' and I chose the title myself. When I pitched it to my publisher it was a story about the worst U12s soccer team in Ireland, but we took a decision quite early on to change the sport to hurling. It made very little difference to the story (a falling-apart team gets better by recruiting players from different sporting backgrounds and foils a robbery along the way to winning the cup) but it made a huge difference to the title – the original title was 'Oisín's Eleven' (obviously a play on 'Ocean's Eleven'...), but as there are fifteen players on a hurling team it necessitated a title change to 'Fintan's Fifteen' and a corresponding change to the main character. I have a notebook full of prospective book titles and character names, most of which are still in search of stories to go with them! Prim Improper popped into my head when I was writing book one. I blogged with a friend whose online name was improper miss and another friend had written a book called Mary Modern, endearing two word titles featuring names to me. Improper Order popped into my head two thirds of the way through book two. I was fiddling with other titles "Prime Impropriety" and "Properly Prim" being two other possibilities but once I came up with Improper Order I kind of liked the way it fit the themes and also how it sounded like a crappy straight to video action movie featuring Dolph Lundgren. Or Steven Segal, I'm not sure which. The title of my most recent novel is 'Rat Runners'. I chose it, but it wasn't my original title, as Random asked me to change it. I might still use the original one for another book, so I won't tell you what it is! Random saw a pitch for this book before I'd got very far into the writing, so it was the title almost from the start. I like to have a title before I start writing a book, partly to help me give it an identity to keep my sights set on, but also as practical means of keeping notes when I'm working on more than one book. I have some ground rules for any title: It must be compelling, it should reflect the theme or feel of the book and I'll always try and pick a combination of words that don't already score a direct hit on Google. I don't want a title that someone has used before . . . for anything. Sometimes I get the title right straight off, other times I have to write out lists of combinations of words. It's a process I enjoy, so even when it's challenging, I don't find it difficult. This was the case with 'Rat Runners', but once I had it, I was very happy with it. I liked the suggestion of urban action (having thought of it, I then found out a rat-run is route along small roads to avoid traffic on main routes) and the real underground air it gave the story. The original title of 'Wendy Quill is a Crocodile's Bottom' was 'Wendy Quill gets a little bit Famous'. But Oxford University Press thought title of my first chapter was funnier. And I agreed. More tales of book titles in February - stay tuned! And a huge thanks to all the writers who helped me with this blog post. You are superstars! Since my first book for age 10+ (Ask Amy Green: Boy Trouble) I’ve been working with young editors. My first young editors were Emma and Kate. They read an early manuscript of Boy Trouble and gave me some valuable feedback. They are both now in first year at college and Kate is studying English and hopes to be a writer some day. For the past two years I’ve held a Young Editor Competition to find new readers to help me edit the Amy Green books. In 2011 Yazmin and Anna won the competition and gave me useful feedback on Ask Amy Green: Dancing Daze. 1/ Did you enjoy being one of my Young Editors? Yes, it gave me a chance to see what it’s like and helped me decide if I want to take writing up as a career choice. 2/ Was it hard work? I didn’t think it was especially hard; the only worrying/hard bit was reading the book in time and giving the feedback that I thought would be useful. 3/ What did you learn about writing a book? I learnt that it’s not as easy as I thought as you have to do multiple drafts and changes before getting to the final copy. 4/ Would you like to edit another book in the future? Yes, or maybe even write one of my own . 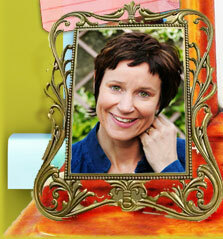 . .
5/ Do you have any tips for Amy Green fans entering the new Young Editor Competition (2013)? Niamh: First of all, this was actually my favourite book out of the series. I think it was because you could see how all the characters have developed since the start of the series. Amy has grown up a lot. We can see this through her relationships with all the characters in the book but especially with Seth and Clover. Amy's a great character because she's not perfect but she tries to do what's right and you still root for her. Iseult: I really enjoyed the experience of being a young editor for this book. I have to admit it was really hard work and sometimes I felt like giving up. The way I have edited is I read it once and then I read it again and if I found anything that I found confusing or something I didn’t understand I’d write a note about it. Overall the book was really great and brought a tear to my eye at the end. How Would You Like to be One of My New Young Editors (2013)? All you have to do is to log onto www.askamygreen.com and click on the Young Editor Competition button and tell me in 300 words or less why you like Wedding Belles (the new Ask Amy Green book), who your favourite character is and why. Enter before 30th November. Good luck! Biography Born in Dublin, Oisín McGann spent his childhood there and in Drogheda, County Louth. He studied at Ballyfermot Senior College and Dun Laoghaire School of Art and Design, and went on to work in illustration, design and film animation, later moving to London to work as an art director and copy writer in advertising. He now lives back in Ireland and works full time as an author and illustrator. He has written and illustrated numerous books for all ages of reader, including the Mad Grandad series, The Forbidden Files series, and eight novels, including The Gods And Their Machines, Small-Minded Giants, and his steampunk trilogy, The Wildenstern Saga. His new novel for readers of 10 years and upwards, Rat Runners, has just been published. Oisin, can you tell us about your latest book, Rat Runners, and where the idea came from? The core idea that sparked the story was based on a very simple premise: we’re observed by surveillance cameras every day now, but what if there was a person standing there, staring at you instead? Then I took it further and thought: what if they had the means, not just to observe you, but to examine you in detail? That’s where the Safe-Guards came from. I was originally going to have it as a fantasy story, with these figures like you’d see in a Terry Gilliam film, with contraptions on their heads holding loads of lenses. But the more I thought about it, the more I wanted to bring it closer to home. The Safe-Guards have sophisticated cameras and sensors that can study you with X-rays, thermal vision, check your identity with facial recognition, they can listen with highly sensitive mikes and use chemical analyzers to check out your smell. All of this technology is based on equipment that’s already in use. Once I had this surveillance society, as an environment, run by an organization known as WatchWorld, it made sense to have the kids as experts at evading this surveillance – young professional criminals, but ones who work for some very serious villains. This triggered a whole load of ideas about the characters, what type of people they were, and the kind of mystery they’d become involved in solving. It all starts with a murder, then the search for a mysterious box, all while trying to avoid being watched by the system. The situation means that even just getting from place to place becomes a challenge. From the point where I wrote the first line, I think it took a little under six months, which is about typical. I had a lot of other stuff going on, so it came together very well. I normally take between four and six months to write a novel. How do you organise your writing day? For example, where do you write? In an ideal situation, I’d work from late morning and into the evening. I have an office/studio where I work normally, but sometimes I’ll sit down at the kitchen table with the notebook, or pace around. I do a lot of pacing. But I have a very varied schedule, doing a lot of events, running courses and all the other bits and pieces you have to do when you’re self-employed. I rarely write for more then three or four hours in a day, but I plan things out pretty thoroughly, so by the time I start typing it out, I get straight to the point. I think evening is the best time, but it’s a bit antisocial if you have a family. I can write any time when the house is quiet – which doesn’t seem to be that often these days! Do you use a computer or write long hand? I plan with my notebook, making copious notes, but once I start writing, I like to be at my desk, typing it straight in. Do you edit as you go along? Or at the end of the first draft? Do you find rewriting difficult? I do edit as I go. Whenever I sit down to write, I’ll read what I wrote last. I also make some changes after the first draft, but then normally I hand it round to friends and family who make suggestions before I send it to my agent. I don’t find rewriting difficult – it can be very satisfying to tighten up the story, but at some point you have to choose to finish. Do you use the internet for research? Do you find it useful? What other research tips can you give writers? I do absolutely use the web for research, it’s fantastic, but it can also be treacherous. For anything important or anything I’m in doubt about, I’d make sure I’m checking more than one source – three or four is best. For the legends I’ve rewritten, I found at least seven or eight versions of each before getting started. As far as the use of research goes, it’s vital that you sound like you know what you’re talking about, but never put in more information than the story demands. A lot of writers fall in love with their research, assuming that if they love this subject then their readers will too. The information, the detail, should carry the story forward, not weigh it down with excessive detail. You can also end up doing far more reading than you do writing, which is an excellent way to avoid finishing your book. The other hazard with research, is that you focus on the things that interest you, but neglect the things that don’t. It’s something I’m always trying to pull myself up on. Anybody who wants to get published should get themselves a copy of The Writers & Artists’ Yearbook. It comes out every year. Children’s Books Ireland also have a section called cb-info on their site (http://www.childrensbooksireland.ie/resources/cbinfo/), which is really useful generally, but particularly for the Irish market. Writing.ie has a lot of good stuff too. It didn’t happen quite the way I planned! I’d been pitching my first novel, The Harvest Tide Project to agents in the UK when I lived in London, but then I moved back to Ireland and started looking for work as an illustrator. The O’Brien Press liked one of the styles I worked in, wanting to use it in their Flyers range, but they didn’t have any stories at that point. So I pitched three stories to them, and they took two – the first two Mad Grandad books. Then they asked if I’d ever considered writing a novel. By that time, I’d finished The Gods and Their Machines, so I slapped the manuscripts for that and Harvest Tide on the table. They contracted for those and a sequel to The Harvest Tide Project, which became Under Fragile Stone. Have you always written for children? Have you ever written anything for adults? I consider all my books suitable for everyone, and a lot of adults read my YA stuff. I think that’s the definition of Young Adult; it’s something both young and adult readers can enjoy. I’ve written one other novel that’s aimed at older teenage and above, but it’s a step away from my normal stuff, and I’ve never pitched it to anyone. Not yet anyway. Do you have an agent? And if so, how did you find her? Having pitched to a number of agents early on, when I was living in London, I actually got published with O’Brien without one. But when I wanted to pitch my books in the UK, I knew I needed an agent. At that time, Eoin Colfer was probably the biggest name in children’s books in the UK after JK Rowling. He’d given me a great endorsement for The Gods and Their Machines, so I thought, why settle for less than the best? I sent her copies of my books with an introduction letter and the manuscript for Small-Minded Giants, telling her what I planned for the future. I met her when she came to Dublin not long after that and we signed up together. Oisin, you have three children. How do you juggle being a dad with being a writer? Do you find it difficult? It is very difficult at times, though it was harder when the girls were first born (they’re two and four, and my stepson is now twelve), especially when we moved into a new house that had to be renovated just weeks after our second daughter was born! Apart from all the practical stuff, having kids really increases the pressure to make a decent living, which increases the stress you already feel at being a parent of young kids (Am I doing this right? Oh, my God, who put me in charge of the lives of three little human beings?!). They’re great craic, but they’re also exhausting! It takes so much out of you, but I laugh more since I had children. You’re also tempted to write down everything they say, because you think it’s all brilliant. What type of books do you like to read? What books are on your bedside table at the moment? Do you have a favourite book? I don’t have a favourite book – it’s hard to even choose some of my favourites. As for what type of books I like to read, I’ll try anything really. I’ve just finished Ursula le Guin’s second Earthsea book, The Tombs of Atuan (I read the first one years ago), and I’ll probably go on to read the third one now. I’ve recently got into Lee Child’s books, they’re cracking page-turners. Other stories I’ve thoroughly enjoyed recently would include Mailer’s The Naked and the Dead (that one took me ages!) and Scott Westerfeld’s Leviathan trilogy. At different points in my life, I’ve been into crime, horror, fantasy and sci-fi, Westerns, war stories, historical fiction . . . almost everything. Romance, not so much, but I’d never rule it out. Doing what you love. I always look forward to work when I get up in the morning. Even after all these years, work still has the potential to thrill me. The financial insecurity can be tough, particularly when you make the leap into full-time writing, or when you go through quiet periods, as the majority of writers do. It’s a very wayward career, with no clear path laid out for you, so you have to be very disciplined, and as most self-employed people know, you can be your own worst boss. I’m not good at taking holidays, but my wife, Maedhbh, is good at forcing me. The promotional work can really take it out of you as well, but it can be a real buzz too. Keep at it and never quit. Learn the trade-skills and get to know the industry, but write what you genuinely enjoy writing, the kind of thing you’d take with you on holiday to read, so you’ll write it for free until you get paid to do it. Don’t write to impress. Write for fun first – all the rest will come in time. Thank you, Oisin, for sharing your writing life with us. I was at a 40th birthday in London recently and I got talking to the band – lovely Scottish lads called The Holy Ghosts. They have been working their wee socks off, playing gigs and parties all over the UK and Europe. They’re super, their lead singer has buckets of charisma (and an amazing voice) and I know they’ll make it because a/ they’re determined b/ they’re damn good and c/ they’re putting in the hours. I told them the story about The Beatles playing in Hamburg that I first read in Outliers by Malcolm Gladwell. In the book Gladwell explains the 10,000 hours rule – how if you put in the time and work hard, success will follow. Gladwell also talks about Bill Gates and how at the age of 13 in 1968 he spent over 10,000 hours programming on a high school computer. Putting in the hours. It’s not very exciting, is it? But it’s so important. I think a lot of people starting to write don’t realise how hard writers work to get published and to stay published. How many hours they put in. Coming up with an idea is the easy bit. Creating characters, plot . . . not so hard. Writing the first few chapters of a manuscript . . . not so difficult either. Finishing a book and then rewriting it over and over again until it’s as perfect as you can make it, that’s the hard part. I’ve said it before but it’s worth saying again – you learn how to write by writing. By putting in the hours. At night after work, early in the morning before the kids get up, at weekends, on holidays, when you’re on top of the world, when your heart is breaking – you have to keep at it. You have to put in the hours. It’s as simple or as difficult as that. All the very best for Christmas and 2013. Try to make some time to write over the holidays. And I’ll try to follow my own advice! How Much Planning Should You Do Before Starting a Book? To plot or not to plot? That is an interesting question. Over the years I have realised that it very much depends on what type of person you are. If you are a planner – if you pack days before going away, if you know exactly where your passport is before travelling, then you’re a planner and you may need to plan your book. If you pack the hour before leaving for the airport, if you hate planning anything weeks or months before it happens, than you’d probably think planning would kill your book’s spontaneity. And for you it might do just that. Martina, how much planning do you do before starting a book? I do no planning at all. I tend to get an idea of what I'd like to explore. In my next book 'What If' I had a few things I wanted to write about. The first, a moment where a life is changed forever (a lot of my books are about such moments, I am unable to get away from that, though in this book it is very obvious what that moment is) and the second thing I wanted to write about was Alzheimers. Having experienced first hand how devastating this disease is, I wanted to write an uplifting story where Lily uses her disease to ask forgiveness from her daughter. But how do you ask for forgiveness when you can barely remember? That was the challenge and so I just dived straight in and began to write. Do you do any work on the characters? None at all. I suppose I see my characters as people I have been introduced to at a party. If I like them, I leave them in the story and get to know them over the course of nine months or so (the length of time it takes me to write a book). These characters begin to grow week by week as I find out things about them. I then go back to the start of the story and flesh them out using everything I've learned. Some characters are much easier to know than others. In the next book, there is a prickly character called Deirdre, she was a hard one to get right, but to my mind, she is the best character in the book now. No! Having said that, diving straight in can be a bit of a disaster sometimes. Maybe about 40,000 words in, I'll discover that the way I'm telling the story is all wrong. I might need to introduce a better/stronger plot (yikes) or I might feel that the book would be much better if it were told from a first person narrative instead of a third person narrative. I fight against it for a while until I KNOW it's not working and then I'll go back and rework. I have found though that it doesn't really hold me up as I get a renewed interest in making the book right and I fly along. The way I write is quite organic, I suppose. I like to surprise myself with the story so that way I hope the reader is surprised too. If I plotted and planned, I think I'd lose the spontaneity with which I write. I'm also a very impulsive person, so plotting and planning would drive me mental. How much editing do you do after the first draft? Very little. I suppose I edit as I go so most of my books (bar three) have been published with very minor changes. Sarah, how much planning do you do before starting a book? Lots! Unlike Martina I can’t start writing a book if I haven’t thought about the characters and the plot for many weeks (even months or years in some cases). Once I have the initial idea – for example ‘a book about a young Irish girl who dreams of being a famous ballerina’ – I grab a yellow A4 notebook and I start jotting down notes. I also collect clippings from magazines and newspapers on the subject and I read extensively around the subject. All these things trigger my own plot ideas and make me more confident that I know what I’m writing about. Yes. I write down everything I know or am starting to find out about the main characters – what they look like, their birthdays, their dreams, hopes, fears . . . I give them names – I love naming characters. Once I find the right name for a character they become much easier to visualise and understand. Again, yes. I go through the book scene by scene, jotting down notes about what I’d like to happen. This is all very much subject to change, it’s just a way of keeping myself going. It also means that I’m not so frightened about getting ‘stuck’ half way through the book. I always know how the book is going to end – the middle is a little more vague. Again, a lot. I usually do around five or six rewrites, often more, depending on the book. Some books require more rewriting than others. Ask Amy Green: Dancing Daze didn’t require too much rewriting; The Shoestring Club, my latest adult book required quite a bit of rewriting. In fact the first draft is very different to the final book. Pretty much everything changed and I think it’s a much better book for all the thought, planning and rewriting. So there you go, two writers, two very different approaches. Now which type of writer are you? Do you need to plan or are you happier just sitting down and writing? I’d love to know. Rewrites, Don't You Just Love Them? I’m on day three now of the first rewrite of The Shoestring Proposal (adult novel for 2012 – working title), and it was all going along nicely until I hit a major plot hiccup and had to start all over again. I’m trying to focus on the overall structure of the story this time but it’s very tempting to tweak at the dialogue and the sentences too. I’ve gone over the first six chapters about five times now and it’s time to let go and move on to the next section of the book. I’ll come back to the first section again later and then start the whole process all over again! But rewriting is an interesting process. To give you some idea of what I’m up to, below is a short section of a scene from near the opening of the book, with notes (in italics) as to why I’ve added or changed things. Read it if it interests you. I’ve given you both the original version and the new version. Changing the name of a secondary character from Rebecca to Jessica – I had a Rachel and a Rebecca – mother and daughter, and I was getting confused as to who was who – so I’m sure a tired reader might confuse them also. Making my main characters – Jules and Pandora – stand out more. Adding lots of detail – clothes, mannerisms, giving them each a very particular way of speaking. A lot of this was in the first draft, but it wasn’t consistent enough. It needs to be perfect. Making sure I’ve got all the continuity correct – Pandora was 14 when her mum died, Jules, nine; birthdays; childhoods. Is this all consistent throughout the book? Upping the drama – making the reader FEEL is vitally important in popular fiction. Have I made the most of each and every scene? Fact checking – lots of fact checking. I need to talk to a medic for a start – luckily I have a friend who’s a surgeon who will be able to help me. All the facts need to be 100% accurate. Adding a rabbit (don’t ask). Putting in two new scenes – taking out other scenes, ones I know are not working. And that’s just for starters – once my agent and my editor get their hands on it, the work really begins! Fun, fun, fun. But all part of every writer’s life. At the end of the day, the more work you put into a book, the more love and passion and enthusiasm your pour into the pages, the better it will be. I knew I’d get a mixed reaction when I first suggested the trip to Paris. (I deleted this line as I want the Paris bit to come as a surprise to the reader.) I’m standing behind the till at Shoestring, the second hand designer shop I run, along with my sister, Jules, and Bird, our spritely eighty-four-year-old granny. It’s a quiet day and Jules has wandered over for a chat. ‘Have you thought any more about your birthday present?’ she says without preamble, leaning over and plonking her elbows down on the desk. ‘How about hand-made leather gloves? There’s little place in town that makes them to measure and you can choose the leather and the lining. I know you like practical presents and it’s something a bit different. I’m not giving you a voucher again, not for your thirtieth.’ It’s now or never, I decide. ‘I’d much prefer a weekend away, Jules,’ I say, trying to keep my voice light. ‘How about Paris?’ She twists around and stares at me. ‘Paris? Are you sure?’ She has every right to be surprised. I’d spent three months studying at the Paris Institute of Fashion and Design in Montmartre in my early twenties and I’d come home with a lot more than notebooks jammed with dress ideas, and conversational French. OK problem here – Paris is a big deal – Pandora left Paris in a hurry and has never been back – so wanting to go there for her 30th is a HUGE deal – which isn’t clear her – and also would stop the conversation – it wouldn’t just be – Paris . . . Jules in shock . . . then back to the previous conversation – wrong, wrong, wrong! I nod. ‘I’d prefer to be out of the country when I turn thirty. That way I can pretend it isn’t really happening. Thirty’s so ancient. I can feel the crow’s feet coming on already.’ My hands flutter to the outer edges of her eyes and I start rotating the skin gently under my finger tips. I’m sitting behind the till at Shoestring, the second hand designer clothes shop I run, peering at the computer screen when my sister, Jules wanders in the front door pushing her road bike in front of her with one hand. She’s only ten minutes late which isn’t bad for her. My mind’s all over the place this morning; I’m supposed to be updating our website before the shop floor starts to get too busy – adding new stock and taking down anything we’ve sold - but I’m finding it desperately hard to concentrate, so I’m glad for the distraction. ‘Hey, Pandora, have you thought any more about your birthday present?’ she says without preamble, propping her bike against the desk, swinging her bag off her shoulder and dumping it the floor, and then leaning over and plonking her elbows down on the desk, making the bracelets on her wrist jangle down her arm. She’s wearing a very odd-looking outfit today – nothing new for Jules – red knitted leggings, yellow cut-off denim shorts and a purple bat-winged top. It still isn’t perfect, but it’s a hell of a lot better than it was. Several more rewrites and I might actually be brave enough to show it to my agent. Maybe . . .
And So I Come to the Final Day I’m procrastinating. My book – The Shoestring Proposal (working title – The Shoestring Club is book 1, this is Shoestring book 2) - is one chapter away from completion. Yes, it’s only the first draft and a fairly loose one at that. Half way through writing it I changed all kinds of things: the name of one character, another character’s motivation, the age of a child. So it’s all up for grabs in the second draft. After writing the book solidly since Thursday 3rd February (I keep a writing diary with daily output including a word count – it’s a way of staying motivated and it’s really interesting to read back over the entries too) I know exactly what I want the book to be, what I’m trying to say on the pages, how I want the reader to feel while reading it. I just have to re-write it now and craft it into the best novel it can be, the closest I can get to my vision of the book. I love the rewrite stage. I love tinkering with scenes, making them stronger, cutting away the fat, leaving the good, lean stuff, the muscle if you like. Tightening the dialogue, making the characters BIGGER. Making sure each person’s dialogue is distinctive. It’s an exciting stage of the writing process and one that isn’t (as far as I know) taught in schools, which is a shame. The re-writing habit should start early. A few weeks ago I was corresponding with a writer who wants desperately to be published. I asked her how long it took her to write her book. Nineteen days she said. I was impressed and slightly taken aback. She must have been going at it full tilt. ‘And the re-writes?’ I asked. I was about to explain how you might only get one shot to impress an editor or an agent etc etc, but I kept my mouth shut. She’s clearly a very busy woman! Next week is the West Cork Literary Festival and I’m speaking to young readers about the Ask Amy Green books and also hosting a workshop, again for young readers. After that, my holiday proper begins. Two weeks to read, eat, sail, swim and read. Did I mention the reading? Monday’s post is all about the books I’m taking with me. After that, in August, I’m back on Ask Amy Green duty, writing book 5. I can’t wait! It’s all about a young Irish ballerina and is set in Dublin and Budapest. See – my job is so much fun! Then, when I’ve written the first draft, it’s back to The Shoestring Proposal. I’ll read over the manuscript in hard copy, make copious notes and start rewriting, by hand in notebooks and also directly onto my laptop (shell pink Sony in case anyone’s interested). It won’t go near my agent or editor until I’ve done at least three rewrites. Then – probably half way through this process – my Ask Amy Green editorial notes will wing their way back to me and I’ll get stuck in to them quickly as that book is out next year. Shoestring 2 won’t be published until 2013. Phew! But look at me now, still procrastinating. I’m due at the page but the honest truth is I don’t want to finish this book. I’ve had so much fun writing it. Typing The End means saying goodbye to Pandora and Jules and Iris and Bird and all the characters I’ve had so much fun writing about over the last 2 years. God knows what I’ll be like saying goodbye to Amy and Clover after 5 years! But such is the writing life. And it’s a good one. The title for the next Ask Amy Green book – book 4 in the series – has recently changed from Party Drama-rama to Love and Other Drama-ramas. And it was difficult enough to find a new title. The story changed quite a bit at editorial stage, so the old title didn’t really fit anymore. Originally Sylvie’s hen party (Amy’s mum) was a big part of the book, but now it plays a less important role. So ‘party’ didn’t work. Back to the drawing board. The book is mainly about a boy called Bailey Otis who is Mills’s new boyfriend in the first few chapters, but (spoiler alert!) something happens and he changes utterly and lets her down. But none of them were quite right. 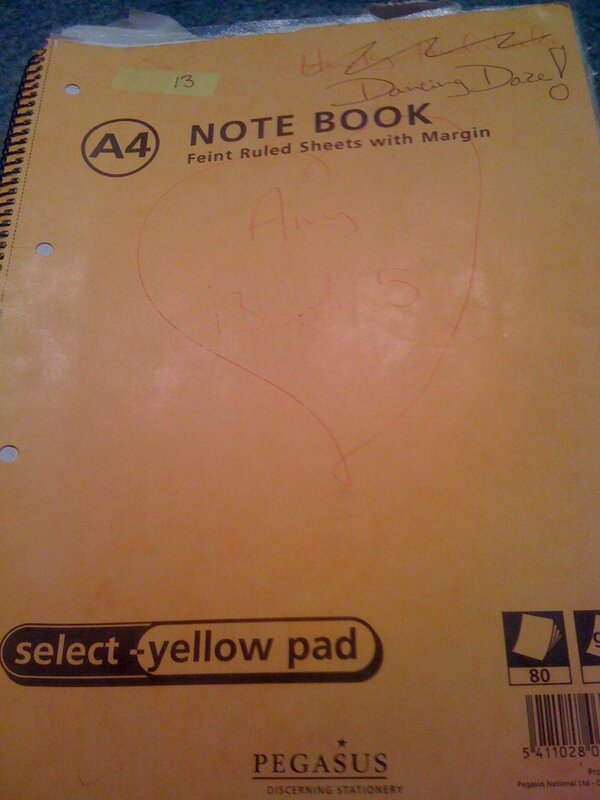 So then my lovely editor, Annalie came up with Love and Other Drama-ramas. And I breathed a sigh of relief. It just seemed . . . right. The book is – at its heart – about love and all the drama that goes with it. The search was over. Some titles come easily. From the very start the first Amy Green was Boy Trouble, simple. The next one – Summer Secrets – again, easy. Although the word ‘Summer’ can be a tricky one as sometimes bookshops won’t stock ‘summer’ books in the depths of winter. A discussion for another day. And Bridesmaid Blitz – again easy! Books 5 and 6 are (at the moment) called Dancing Daze and Wedding Belles. But book 4 was always a sticky one for some reason. Sometimes titles are just difficult. Doesn’t mean the book isn’t brilliant of course. And I ADORE Amy 4. Hope my readers will do. It’s out in September so we’ll have to wait and see. With a brand new cover look for all the titles. I think the best titles are simple, catchy, easy to remember and either sum up the book perfectly or give a taste or a mood of the book. My Sister Lives on the Mantlepiece is a recent example of a memorable title. It’s about a teenage who literally lives on the mantelpiece – in a jar – as she was blown up by terrorists. No, not subtle, but very, very strong image don’t you think? Wuthering Tights – another good one. Billionaire Boy – simple yet effective. Names work well – especially unusual, funny or odd names – Skulduggery Pleasant, Judy Moody, Coraline. Alliteration can also work well – Bridesmaid Blitz. For romantic comedy, song titles or well known sayings can be good – Always the Bridesmaid, The Loving Kind (yep, I borrowed them both!). My latest adult one (out next spring) is called The Shoestring Club. It’s about two sisters who run a second hand designer shop called Shoestring (designer clothes on a shoestring is their slogan). It’s simple and I think it works. Above all, make your title interesting and make it say something about the book. The one title I’m not all that keen on of my own titles is Some Kind of Wonderful. It doesn’t really say anything about the book. I should have put more thought into it to be honest. So do think carefully about your title, it’s important. And if you’re having problems coming up with something good, ask for help. Sometimes us writers are too close to our own work to see the wood for the trees. Good luck with finding the right title for your own book. Remember the days of gr8 and l8r? Thinking of using them in your YA novel to make your teens ‘cool’ and ‘hip’. Think again! These days a lot of teens have iphones, along with predictive text, and they’ve gone back to using complete sentences. Using l8r will date your writing. Other things date writing too – brand names that are popular at a particular moment in time, bands, magazines, radio shows, movies. Looking back through my first Amy Green, I realise now that I should have used a fictional social networking site instead of Bebo. Most teens have shifted to Facebook these days, and in the US Bebo is practically unknown. I also included Irish band, The Script, mainly because it’s one of my teen editor’s favourite bands (and she’s fab!). And luckily three years on The Script and still going strong. Along with the X Factor and other ‘brands’ I mentioned. But in the latest book, Ask Amy Green: Bridesmaid Blitz (out in Oct), I took care not to mention any brands at all unless they were ones with ‘sticking power’, or are widely recognised, like Coke or X Factor. In the books I now have made up telly shows instead of real ones, and fictional bands like The Golden Lions and The Colts (these were also in books 1 and 2). However I continued with the D4s (who are the mean girls in Amy Green), the Crombies (boys who wear designer gear and play rugby), the Emos and the Goths, as these all play an integral part in Amy Green’s life and hopefully will be around for a while to come. In the adult book I’m currently writing, set in a second hand designer shop, I have lots of fictional labels – Faith Farenze, Maeve Fabien – and I’m delighted to report that my agent thought they actually existed, which means they must seem authentic. I have also used some real labels with sticking power – Gucci, Prada, Chanel. So, are you dating your work? Have a look and see. HI All,This might be of interest - I wrote it for the National Guide to 3rd Level Colleges - and I whipped it up pretty quickly! Books to be written, don't you know! Actually 2 of them!!! I have been writing full time for nearly eight years now, both adult novels and children’s books. I have three kinds of days – writing days, event days, and publisher/agent days. Most weeks I have four writing days and one event day. This might be a school visit where I talk to the children and/or give a writing workshop, a library visit or a book festival – often on a Saturday or Sunday. Once every two months or so I also have a publisher/agent day where I travel to London to meet with one of my publishers and/or my agent, or attend a party or launch. That's is the glam bit! I did absolutely no creative writing in college (OK maybe I wasn't supposed to say that in a guide for colleges - oops - but it's true! ), but I did study English and read until my eyes fell out of my head, a great asset to any writer. After college I worked in several bookshops, including Eason and Waterstone’s, along with fellow writers John Boyne and Paul Murray. There are less than twenty full time children’s writers and/or illustrators in Ireland and it’s not easy to make a living from writing for children. Saying that, many Irish writers have done exceptionally well worldwide, from Eoin Colfer (Artmis Fowl), to Darren Shan (horror), Michael Scott (fantasy-adventure), Derek Landy (Skulduggery Pleasant), Oliver Jeffers (picture books) and P J Lynch (illustrations). As well as the Ask Amy Green series for age 10+ (Walker Books and Candlewick US), I also write early readers for O’Brien Press, and adult novels for Pan Macmillan. My adult novels are popular fiction, with plenty of dialogue and family and relationship dramas. I write to entertain and inform, and I greatly enjoy inventing characters and plots. My latest book, The Loving Kind, deals with plastic surgery, errant boyfriends, loyalty, and revenge. Ireland has an exceptional record when it comes to women’s popular fiction – with Maeve Binchy, Marian Keyes, Cecelia Ahern, Cathy Kelly and Sheila O’Flanagan – all huge worldwide. There are also newer names on the scene – Amy Huberman, Sinead Moriarty and Niamh Greene. There is always a market for good popular fiction but your voice and your style have to be original. I start my writing day with a walk. Then I settle down at my desk and write from 9.30 until 1.30. After lunch I will edit what I have written, answer emails, write things for my website, do newspaper interviews or other media requests, answer readers’ emails etc. I also work three or four evenings a week – writing my two blogs, answering more readers’ letters, keeping up with my readers on my Facebook page, writing children’s book reviews for the Irish Independent and Inis magazine, and doing other admin work. A lot of writing is actually re-writing, working on a book until you get it right. Each book goes through many, many different drafts before it is complete. And it can be hard graft. But when you’ve had a good writing day, when your characters really come to life on the page and pull the story along in a direction you never anticipated, then it’s all worth it. Some of my other books have been shorter – 85k, 86k, some longer. 126,000 is the longest – When the Boys Were Away. That year publishers were looking for longer books and my story luckily just naturally longer. I have a feeling the next adult book will be shorter. It’s for a slightly younger age group – older teens, 20s, early 30s – and so far the story just seems to be zipping along and not getting sidetracked by sub plots, which can stretch a book out. So I’d say 80 to 90k. I’ve asked a few of my friends who write popular fiction and they are mainly in the 90k to 110k category. Children’s books are a little more complicated. I am constantly asked how many words should a children’s book actually be? Now, this is a rather vague question. So I ask ‘What kind of children’s book?’ And they say ‘Oh, you know, a novel. Anyone would love it. I’d say age 6 to 80.’ My heart always sinks at this, as it means the writer hasn’t grasped one of the fundamentals of writing for children – and this is that you must know your audience. Children of 6 do not read the same books as teenagers of 14. And yes, of course there are rare ‘crossover’ books like Harry Potter or The Boy in the Striped Pyjamas’, but in general different age groups have different tastes. And their stories need different word counts. Knowing you audience and their needs is an interesting one – I’ll make a note to come back to it at a later stage. But for now – word count. These are very much just guidelines, oh writerly ones! Picture books are short generally, people, SHORT. Read some picture books, count the words and get a feel for it. Usually less than 400 or 500 words. Early readers are also SHORT. My Emma the Penguin book in the O’Brien Panda series is 800 words long, and, I hope, not a word out of place. Most publishers will tell you what word count they need for their early reading series – contact then and ask. Just ring O’Brien Press – 01 – 492333 (Dublin) and ask them. They are very helpful. I’m not sure what they are taking on at the moment, but again, that’s useful to know too – again, just ask them. Friendly folk, the O’Brien gang. Novels for age 8/9/10 - 30,000/35,000 is the norm. Of course some books are longer than that (Yes, yes, you don’t need to mention Harry Potter), but if they are going to be must longer they need to be pretty darned good. Novels for age 10+ – my Ask Amy Green books are usually around 50,000 words which is quite long for this age group I am told. Judi Curtin’s are about 30,000, Cathy Cassidy’s about 30 to 40,000. But Amy just has a lot to say I guess! Older teens – less than 60/70,000 would be the norm. But fantasy books do tend to be longer. The best thing to do is always – ALWAYS – to read a hell of a lot of books in the age group and the genre you intend to write for. Get a really good feel for it and then with that in mind, write your own book. Won’t you get influenced by other people’s work? It’s a risk worth taking. If you are influenced by excellent children’s books – and note I said influenced, by which I mean inspired, I am not suggesting you write ‘like’ anyone else but yourself – surely this is a good thing as long as you stay true to your own voice and your characters and plot are wholly original. Below I’ve posted a section from the blog of American literary agent, Mary Kole who has some darned good advice and comments on word count on www.kidlit.com – check it out. •	Board Book — 100 words max •	Early Picturebook — 500 words max •	Picturebook — 1,000 words max (Seriously. Max.) •	Nonfiction Picturebook — 2,000 words max •	Early Reader — This varies widely, depending on grade level. I’d say 3,500 words is an absolute max. •	Chapterbook — 10,000 words max •	Middle Grade — 35,000 words max for contemporary, mystery, humor, 45,000 max for fantasy/sci-fi, adventure and historical •	YA — 70,000 words max for contemporary, humor, mystery, historical, romance, etc. 90,000 words max for fantasy, sci-fi, paranormal, etc. And here’s more useful stuff from Mary: Now for the more practical, everyday truth. Personally — and this sounds extremely crass and judgmental of me, I know — the lower your word count, the more I like you, right off the bat. For example, right now, I’ve got about 150 queries and 8 manuscripts in my queue. And that’s from, like, the last couple of days. That’s a lot of words for me to read. When I get a query for anything over 80k words that sounds really cool, I groan a little bit inside. It’s not the word count, per se, because, if something sounds cool, I really do get excited to read it. It’s that I have so many other submissions on my plate, so I half-dread loving it a lot and having to read all those 80k words. And if I take it on, I’ll have to read those 80k words over and over again as we revise. It represents a big time commitment. I realize this is arbitrary and perhaps lazy of me but… welcome to the world of a very busy agent. Sometimes, we have these thoughts. There are times, though, (and these are the rule, not the exception, I find) when an inflated word count isn’t earned, isn’t awesome, isn’t because every word deserves to be there. I usually find that first-time fantasy, paranormal or sci-fi authors are the worst offenders. They craft a redundant manuscript full of lavish description that moves at a snail’s pace. Then they send it to me and proudly say that there are 155k words and that it’s the first in a trilogy. I read the writing sample and see paragraph after paragraph of dense text with no breaks for dialogue or scene. These are the high word count manuscripts that are problematic. Because, clearly, the author hasn’t revised enough. And if I tell them what really needs to happen — that they need to lose about 50% of their words — they’ll have an aneurysm. But, truthfully, if your word count is anything over 100k in children’s, it better be higher-than-high YA fantasy. And all those words better be good. Cutting words and scenes and “killing your babies,” as I like to put it, is one of the most hard-won revision skills any writer can have. And it usually comes after you’ve done lots and lots and lots of revision in your life. Many debut authors haven’t yet learned how to make — and enjoy — this type of word sacrifice. It shows. Interesting, honest stuff! I'll be keeping an eye on Mary's blog from now on! Sarah X Word count of this blog - 1, 318! I’m just taking a short breaking from working through the line edits for Amy Green, Bridesmaid Blitz which will be out in October. The timing’s pretty tight so I’m trying to devote as many hours to them as I possibly can, day and night. Line edits come after the structural edit (sometimes there can be more than one of these if the editor has encountered lots of things they’d like to see changed or worked through) and accompanying author’s re-write. It’s when the editor (or sometimes a different editor) goes through each line of the book, making notes and suggesting changes; some small, like changing a word or adding a line, some bigger, like moving a scene, or checking a character’s motivation rings true. It’s a vital part of your book’s progression from manuscript to finished bound book, and it’s important to put everything you can into it. By the end of the editing process you should a/ know every chapter practically off by heart and b/ be ready to let your work go, knowing you’ve done all you can to make it the best book possible. And yes, you can get more than a little sick of your own book by the end of things, that’s kind of normal. It drives you on to write the next book and start the whole process all over again. Like childbirth, you forget the hard bits and keep writing regardless. So there you have it – ‘beats’. Bits that spice up the dialogue, and often, make sense of what’s happening when characters are talking. My problem – this is book 3 in the series. I now know my characters so well that the action unfolds right in front of my eyes. But I have to keep remembering that my readers don’t know my characters the way I do. They may need some nudges in the right direction. They won’t know Amy is staring at her feet and mumbling unless I say or show she is. But too many ‘beats’ and the dialogue starts to sound stilted and unnatural. It’s a difficult balance. ‘Beats’ – good word, isn’t it? Better get back to the line edit – it won’t wait! Humble apologies for the lack of posts recently. What with Easter and friends visiting, it’s been pretty hectic the last few weeks. At the moment I’m working away on the edits of the third Amy Green book – Bridesmaid Blitz (out in Oct). I had an email from my editor today and I’d like to share it with you as it’s lovely. Writers work away in this funny vacuum, not knowing if what they are producing is hitting the mark. I am very lucky to have two editors in Walker Books, both of whom really know their stuff. After a pretty stiff and thorough rewrite – after a very frank editorial meeting in London with both of them – I submitted Amy Green 3 mark 2 nervously, hoping they would like what I’d done. I’d hacked the middle out of the book. It was veering away from Amy’s story and I had to bring it back and the only way I could do this was to rewrite a good chunk of the main plot. So I got rid of about 1/3 of the book (about 17,000 words) and created lots of new scenes. There were a lot of different subplots in the original draft and I got rid of several of these – including a school production of Grease that I was rather fond of – but by tearing them out, gave the main story (Amy’s story) room to breathe. Luckily my editors liked what I’d done. However there are still three reasonably big plot problems/blips that I now have to iron out. In the editorial letter (I didn’t get one for the 1st rewrite as there was so much to do! ), my editor has broken it down into sections – bless – to make things easy for me. I have to 1/ build up the Seth/Polly subplot – which I’ve just done. 2/ Work on a particular agony aunt letter that doesn’t quite click. And 3/ work on Amy’s relationship with – look away if you’re an Amy Green fan, plot spoiler coming up – relationship with her new baby sister, Grace. I spent this week working on the Seth/Polly subplot – researching breast cancer, treatment, drugs and clinical trials. Then I wrote new scenes using the research. But here’s the thing: I had no idea whether I’d overwritten the scenes (they are pretty sad – but cancer in all its forms is hardly a walk in the park! ), used too much or not enough technical information; whether they held the reader’s attention or if they were too slow moving. I’m always aware that young readers have a hell of a lot of other demands on their time and, above all, I aim to hold their interest. Right, I’m off to mop up my mascara! I’m lucky to have editors who care about my writing and who really get what I’m trying to do. I’m truly blessed. To the gods of writing up there, I thank you for bringing us together. I wish you all such kind and thoughtful editors.